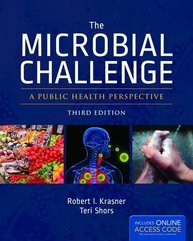 Last spring we conducted a review of our unique microbiology textbook, The Microbial Challenge: A Public Health Perspective, Third Edition by (the late) Robert Krasner and Teri Shors. The text is unique in that it covers the core microbiology concepts for an introductory microbiology course through a public health lens. This makes it perfect for students already in or considering a pre-health professions major, students interested in public health, non-majors who would benefit from a focus on how microbiology impacts everyday life, and students at schools that push an interdisciplinary focus. Review: "Introduction to Homeland Security...is logical and easy to understand"
Great news - the recently published Introduction to Homeland Security: Policy, Organization, and Administration by Willard M. Oliver, Nancy E. Marion, and Joshua B. Hill was warmly reviewed by Professor Ostrowidzki of El Paso Community College. Professor Ostrowidzki said "Introduction to Homeland Security: Policy, Organization, and Administration is appropriate for my [Intro to Homeland Security] course because it provides a basic, but developed overview of homeland security regarding the United States. 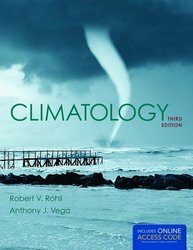 The book’s approach is logical and easy to understand for students at the early college level." Review: "[Counterterrorism] is an excellent reference for both graduate and undergraduate students..."